A quick thank you for taking the time to read and post such wonderful reviews for Spinning Time! 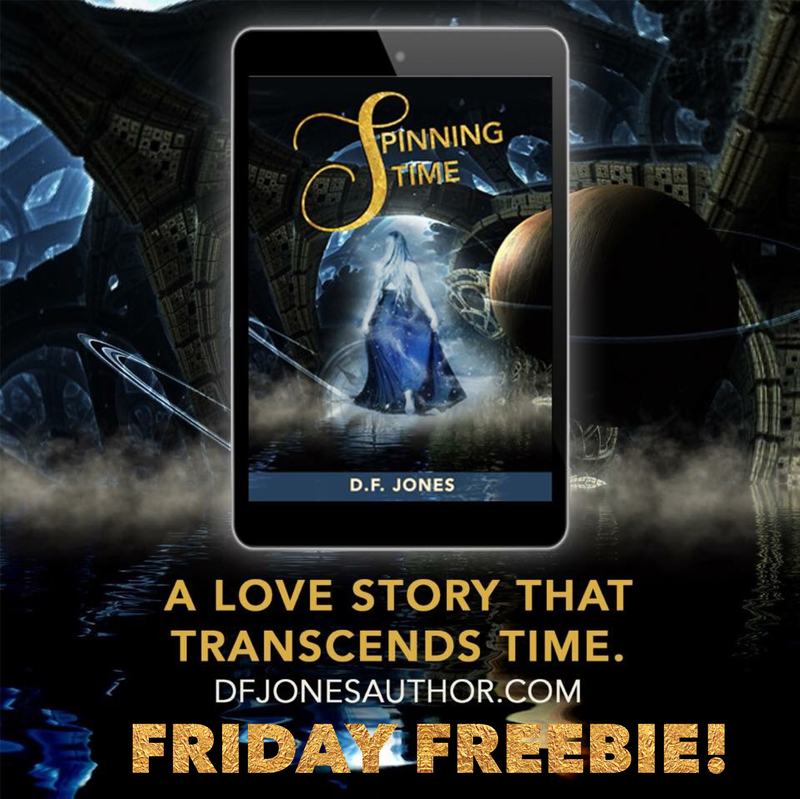 As my thanks, I’m offering today, May 26 only, a Free Kindle copy of Spinning Time by D. F. Jones Expires at Midnight! “D. F. Jones has written this exciting adventure that you will not want to put down. That you won’t be ABLE to put down! What a delightful story. It was extremely well done going back and forth through time, giving you bits of information each time and building to a fantastic crescendo. The humans and aliens are highly developed and actually give you the feeling that you know them, that you have met them before, and you either really like them, or you really hate them. The action was fast-paced and didn’t end. “I chose this rating because Ms. Jones has the ability to pull one into her stories and make you a part of the story. Even if you are on the sidelines and unable to help the characters. I would recommend this book to anyone who wants a really good read. I do not usually do spoilers but I really feel pushed to give all dog lovers that this story has an alien dog who has a character all of his own and I personally loved him. I can not wait to read D.F. Jones next book. This story was different than her Ditch Lane Dairies but as well written; I loved this story as much as I have her other stories.